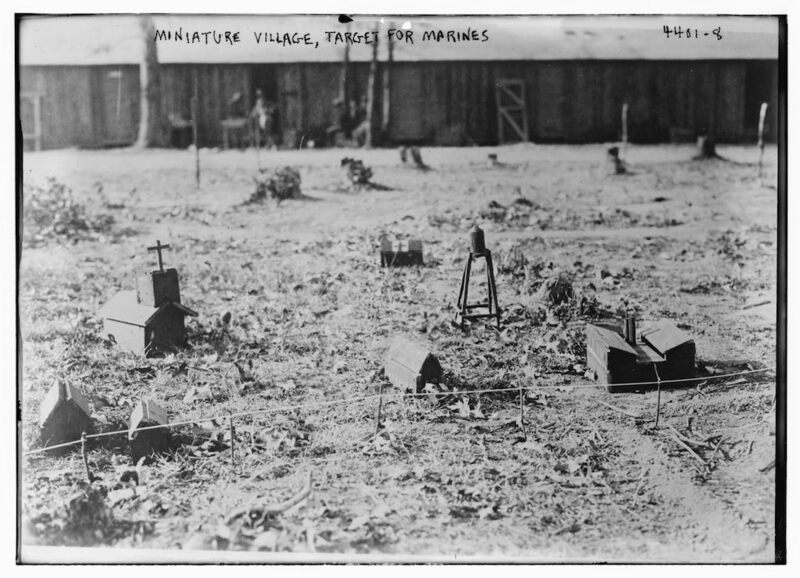 If you are getting frustrated with work on your miniature setting, know that you can do better than the U.S. Marines who made this miniature scene for target practice in the early 20th century! Ha! Clearly, they didn’t take the art too seriously.